Those who buy a pair of Mantra sunglasses might feel this is their ever-best purchase. One pair of Mantra’s stylish sunglasses will support the donation of a pair of near-sight glasses to children in China’s remote areas. 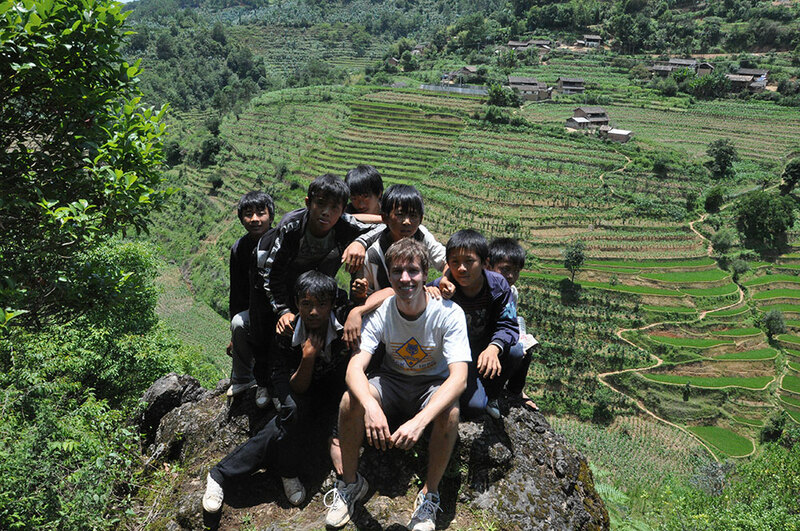 A graduate of Columbia University in Economics and East Asia Studies, Sam Waldo first came to China’s Yunnan province six years ago, as a teacher. Being a young first-time teacher, Waldo initially was not regarded seriously by his students. But he worked hard to gradually gain their respect, by spending time with them through home visits, motivating and encouraging them. It was through such daily time spent with them that Waldo realized many children didn’t perform well or lost interest in study simply because they couldn’t see properly what was written on the blackboard. 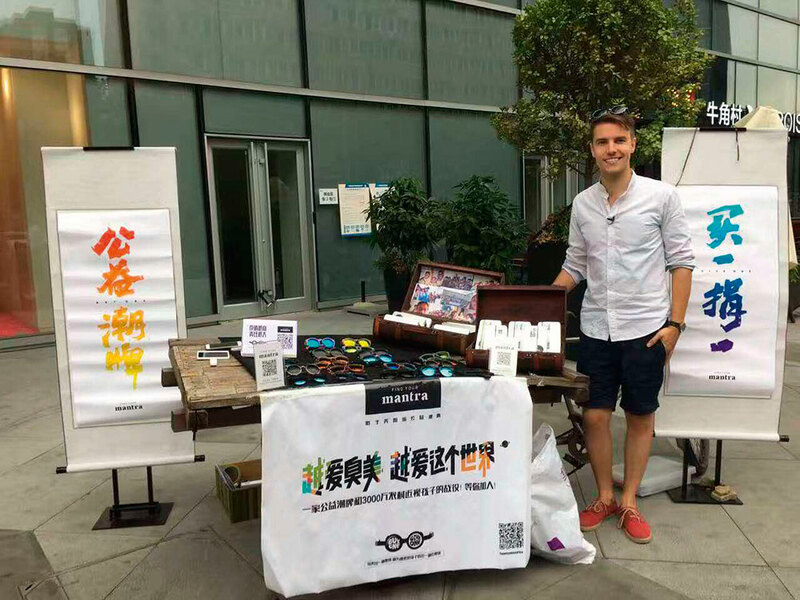 After the teachiing program he then came to Beijing in 2012 to start up Mantra (which means “original heart”), raising funds by selling stylish sunglasses to support the donation of near-sight glasses to children whose families cannot afford them. When asked what made him decide to come to China and directly place himself in a poor remote area, he said he owed this to his very international education. He was born in Holland then lived in England, Scotland, Kuwait, and the U.S. He attended different types of schools and at an early age gained a global perspective and the desire to help those in need. Over the last four years since Mantra was started, Waldo and his team have gone through considerable challenges. He considers perseverance as an important character quality, which has helped him stand firm in times of extreme challenges. “You have to just keep trying after a long time of no success”. Thus far, Mantra has not gone the usual route of printing leaflets or advertising their products through mass promotion. 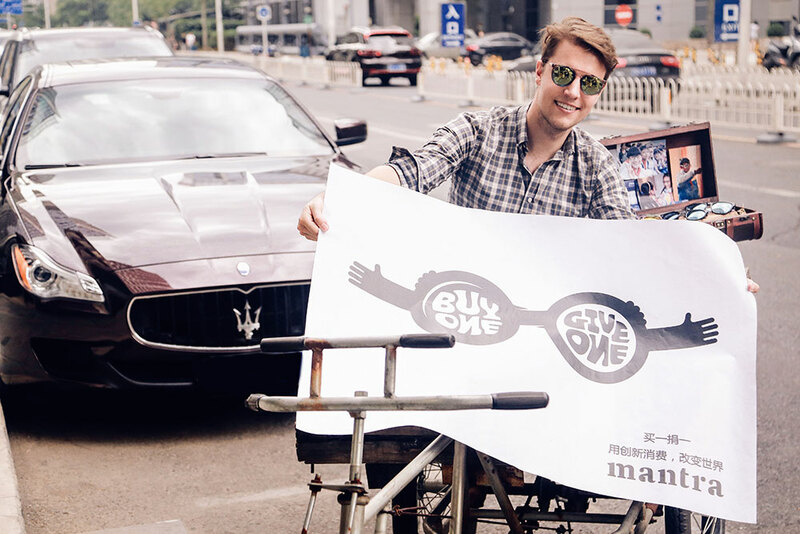 Instead, Waldo himself often goes to a main business street, such as Wangfujing, to showcase sunglasses displayed in an old time leather suitcase, on an old bicycle or simply on a table. His marketing worked. He got lots of attention and orders, often far more than their stocks could immediately supply. Mantra glasses are designed by Australian designers based on inspiration from Chinese ethnic minority life and local Yunnan scenes such as terraced fields and lakes. Each pair has a unique name reflecting its inspiration; for example, Superfly in Dali Old Town, Hero in Er-Hai Dusk, and 88s in Kawagebo Sunrise. Materials are from the U.S. and produced to the highest quality standard. They cost RMB 360 for each pair. There are currently 21 types, mostly unisex with some particularly suitable for women. They don’t offer kids’ sizes at present. For more information, subscribe to their WeChat account: findyourmantra. This article originally appeared on page 17 of the November/ December issue of beijingkids magazine. Click here for your free online copy. To find out how you can obtain a hard copy, contact distribution@truerun.com.